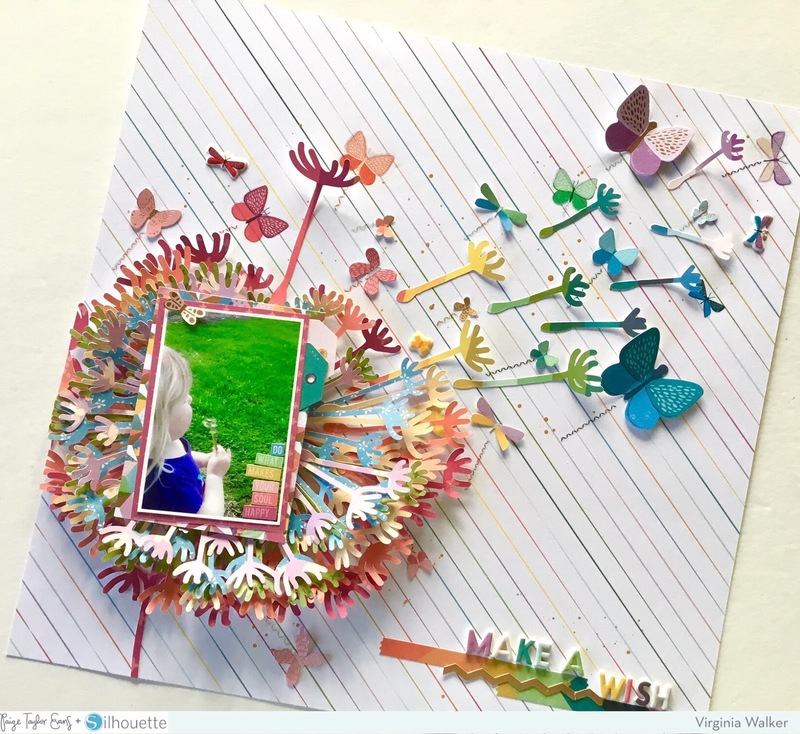 Hello everyone, Virginia here with a new layout featuring the awesome Dandelion cut file from Paige as well as the stunning new Whimsical collection. I’m going to first start by saying that I actually got really stuck creating this layout. I had an idea in my head but it just was not translating onto the page when I cut the design from white cardstock. Eventually I let go of the idea and started fresh! I chose the white with rainbow striped diagonal lines Paper 05 from the 12x12 Paper Pad as my background and decided in order to make the dandelion really shine on the page it needed multiple layers! So I cut it six times, each layer slightly smaller than the one before. I cut them from Paper 20, Paper 23, Paper 18, and a few from the 12x12 Paper Pad. When I layered them on top of each other it gave an amazing amount of texture and dimension.... all in a rainbow of colors! I then cut one set of the single seeds from Paper 16 and spread those around the page. I now finally had a direction for my layout! 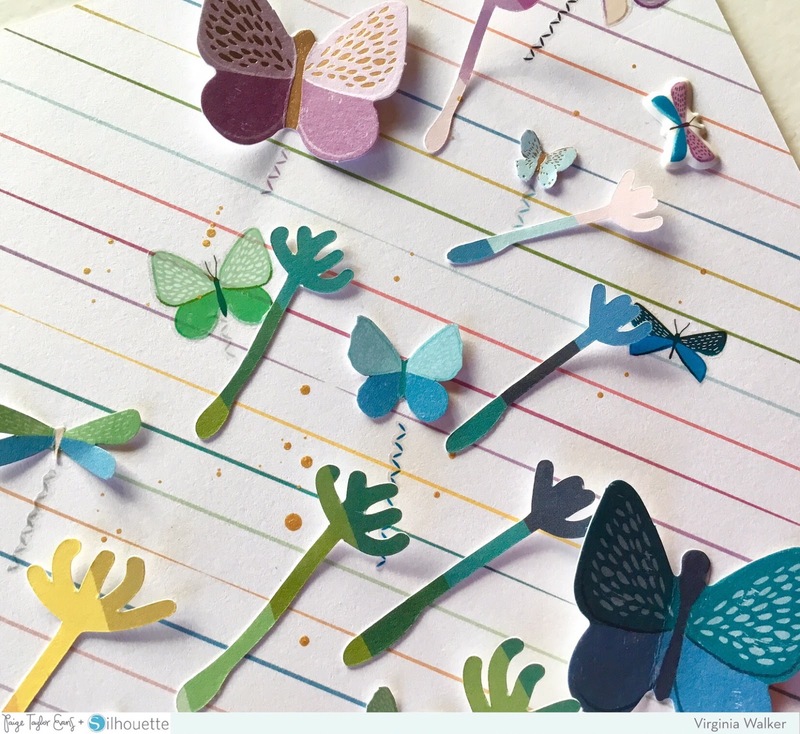 To add to the layout without overwhelming it I chose some butterflies from the Ephemera Die Cuts and fussy cut some more from the 12x12 Paper Pad as well as the 6x6 Paper Pad, then scattered them around the page, keeping the colors in a rainbow order. I also added some butterflies from the Puffy Stickers. I used some of the faux stitched Rub-Ons as little trails behind each of the butterflies to add more detail and color. 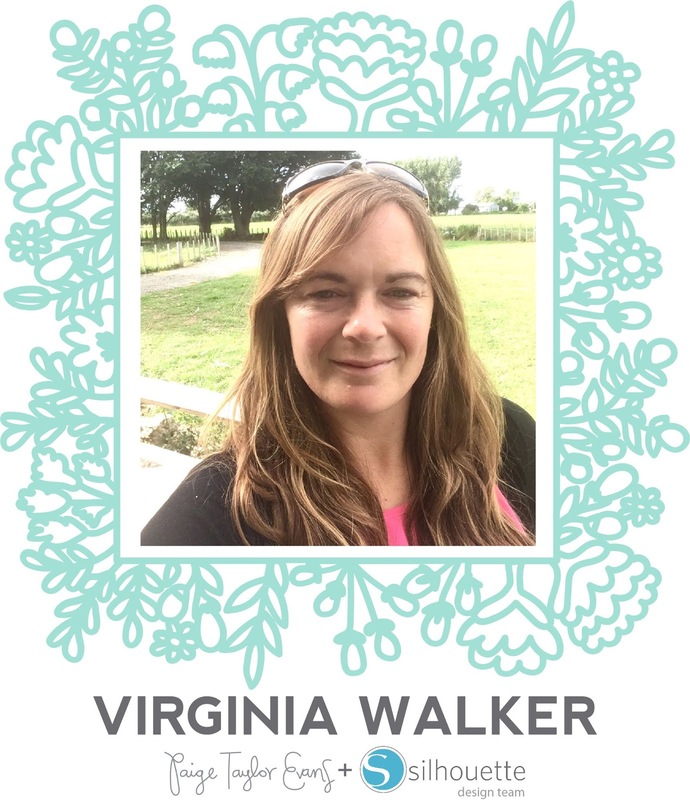 Lastly, to create a home for my title I used two of the rainbow striped stickers from the Sticker Book and a rose gold chevron sticker from the Stickers as grounding for my title on the bottom right of the layout and created my title using the gorgeous Foam Mini Thickers! I’m so glad I managed to let go of my preconceived idea and just go with the flow for this layout! There's nothing much that beats a rainbow color scheme in my opinion! This is gorgeous! I love love love love that dandelion!!!!!! So AMAZING!!!!!! I gushed all over Virginia's LO on Happy Scrappy Place, I'm so glad she's on your team Paige !